The Castle of de Haar (http://www.kasteeldehaar.nl) is the largest and most luxureous of Netherland's many castles. Famous dutch architect P.J.H. Cuypers, known for the rijksmuseum and the Amsterdam Central railway station, rebuilt the castle at the end of the 19th century from ruins dating back to the 13th century. The interior is the result of the taste for luxury prevalent towards the end of the 19th century. 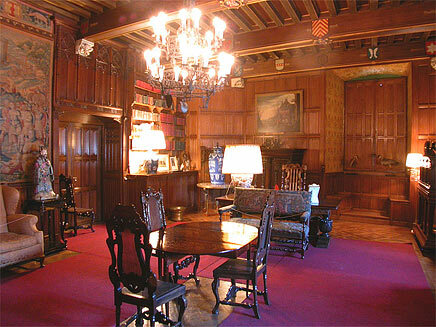 The intimate library is mostly built of wood and has various carpets on the floor and the wall.